ITEX 2019 has officially announced the theme of ‘Own the Office, Piece by Piece’, due to the ever-increasing demand for Business Solution Providers to master all areas within the office technology industry. 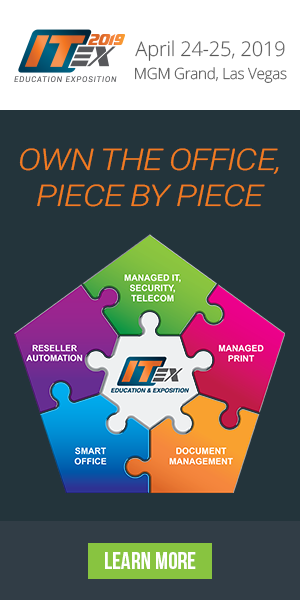 ITEX 2019 will feature two new pieces in the puzzle, showcasing the hottest topics in the industry: Reseller Automation and Smart Office. These two topics will attract new attendees and exhibitors to the show. • Increased Attendance: ITEX 2018 experienced a massive attendance increase from ITEX 2017. ITEX 2019 anticipates even higher attendance numbers, partially due to the introduction of Reseller Automation and Smart Office tracks. Because these two topics cover a huge scope of services and products, ITEX 2019 expects more vendors and significantly more attendees. ITEX 2019 will offer more meeting rooms to host co-locations, which will attract more Presidents, Sales Managers, and Service Managers for co-located event opportunities. • Power Lunch on the Expo Floor: ITEX 2019 is proud to present Power Lunch, a catered networking lunch that will allow dealers and resellers to connect with vendors in a new, informal way. The Power Lunch will give attendees the opportunity to rub elbows with potential resellers one-on-one, discussing the latest products and findings. • Reseller Automation Area: The ITEX team is currently planning to include an area specifically designed for Reseller Automation, where dealers can connect with automation companies, view interactive demos, and review each vendor’s service offerings and products. • New Education Tracks: Along with the introduction of Reseller Automation and Smart Office sections on the show floor, these two topics will each have an educational track. 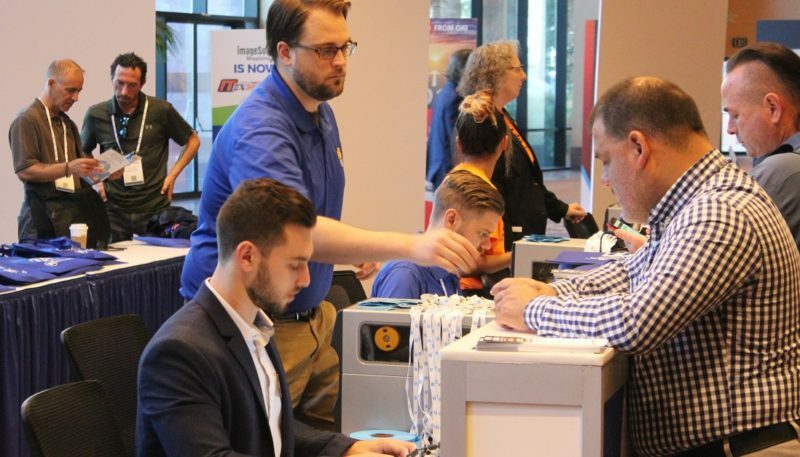 ITEX education is comprised of 25 top-notch, vendor-neutral sessions, each of which is accessible to all attendees who register with a Conference Pass or Certificate Pass. • New Exhibit Floor Layout: ITEX 2019 will have a novel exhibit hall layout, allowing attendees to proceed from the show floor directly to education. • Lower Room Rates: After all…it’s Vegas baby! ITEX 2019 offers the best room rates on the Vegas strip at the fabulous host hotel, MGM Grand. MGM Grand is in the heart of Las Vegas, surrounded by world-renowned food, entertainment, and nightlife. Exhibitors and attendees may reserve their room at the time of registering for their ITEX badge. 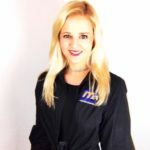 The ITEX 2019 team will continue to announce new additions to the April show.